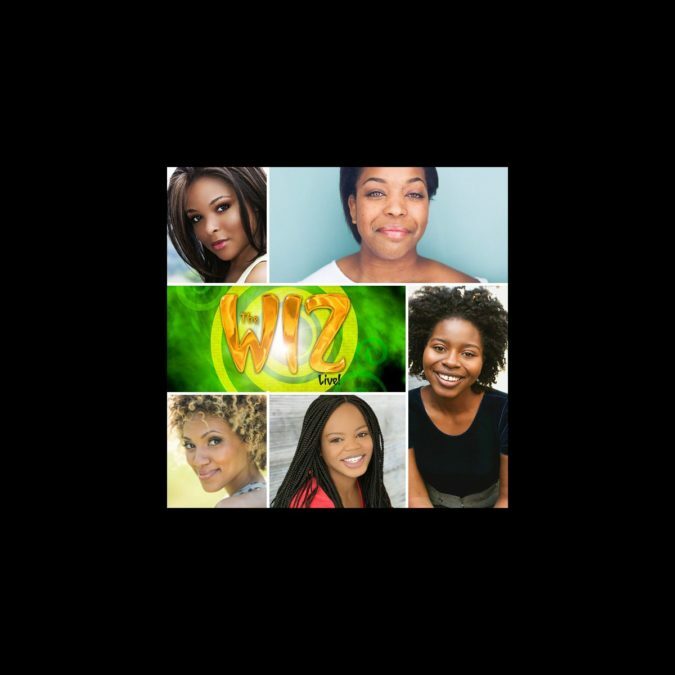 Five Rising Stars We’d Love to See Play Dorothy in NBC’s The Wiz Live! NBC will present The Wiz as its latest live telecast on December 3, but there’s only one problem: We still need a Dorothy! Producers Craig Zadan and Neil Meron, director Kenny Leon, choreographer Fatima Robinson and company are leading a search to find their leading lady, hoping to launch an unknown to stardom. In an effort to help—and as an excuse to listen to some powerhouse vocals—we scoured YouTube (the open casting call of the 21st century) for young actresses whom we’d be thrilled to see ease on down the road. Take it away, ladies! We sang the praises of Louissaint last month when she took home the top honor at the 2015 National High School Musical Theatre Awards (a.k.a. the Jimmy Awards) for her star turn in Caroline, Or Change. The New York City native demonstrated exemplary maturity and powerhouse vocals in the medley above and her performance of The Color Purple’s “I’m Here” in the finals. We’d be thrilled to see her bring those traits to a (perhaps slightly more age appropriate) role like Dorothy. We have no doubt she’d bring both a requisite complexity and sense of fun to the part. Williams is by no means a musical theater newcomer, having received the Gypsy Robe at the age of 12 on the opening night of In My Life. Since then, she’s appeared on Broadway in musicals including Bye Bye Birdie and 13. She recently took the NYMF stage in Where All the Rivers Go to Sleep and will reunite with her 13 co-star Allie Trimm at 54 Below. But the live telecast could catapult her to a household name, and after hearing her knock “Home” out of the park, we would certainly not mind discussing her riffs at the dinner table. Since making her Broadway debut in The Color Purple, Mollet graduated from the famed LaGuardia High School and is set to attend University of Cincinnati’s College-Conservatory of Music. It’s easy to get lost in a YouTube spiral of her performances, from boasting her comedic chops in “Alto’s Lament” to belting her face off to “Let It Go.” But it’s this mash-up of songs from The Polar Express and The Prince of Egypt that have us “believing” in Mollet; that kind of warmth is necessary for bringing such ballads as “Soon As I Get Home” and “Be a Lion” to life. If you’re not going to nail that high F at the end of "The Dance of the Robe," don’t bother putting the clip on YouTube. Fortunately, Wise does just that. The recent Berklee College of Music alum’s regional credits include memorable turns in Big Fish and The Color Purple in Boston, but we believe Wise has what it takes to bring her vocal chops from Beantown to the Big Apple (or rather, a Long Island soundstage). And from this rehearsal video, she proves she has an easygoing attitude (look how easy she’d be to work with, Craig and Neil!) and riffs for days. Allison first came to the scene in 2014 as the victor of NYMF’s Next Broadway Sensation contest. Since taking the title, she’s joined the cast of Broadway's Aladdin. She’s an extremely versatile performer, as you can see from her gorgeous classical soprano or her soulful Shirley Bassey tribute. Oh, and she can belt. It’s also come to our attention that she always “absolutely LOVES shoes,” so we suspect she’d have no problem rocking those silver slippers. You can catch her at 54 Below in October; we’ll see what happens after that.